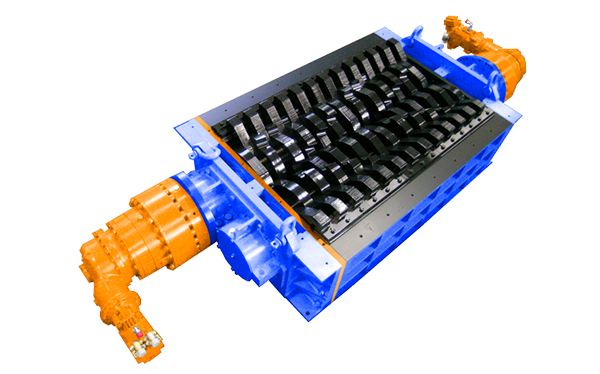 The main feature of these crushers is the use of two shafts with dedicated motor, such as it is possible to make an initial setting the speed of each shaft in accordance to the material processed. The materials for which these shredders can be used are: MSW, RDF and SRF, packaging, car tyres, debeaded truck tyres, oil filters, WEEE, cardboards, wooden pallets, hazardous and pharmaceutical waste, big bags. The throughput the machines can ensure goes from 3 to 15 t/h (according to the material processed).